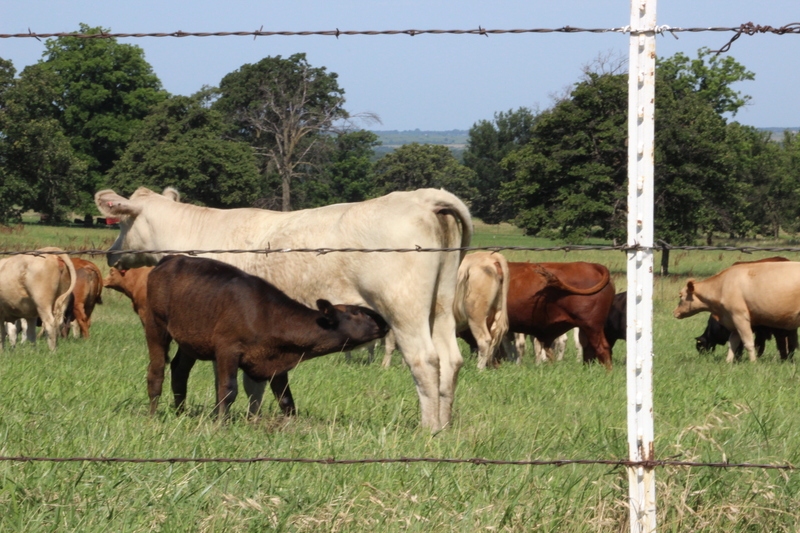 The Osage County Cattlemen’s Association (OCCA) held its 81st annual convention June 18-20. The convention kicked off June 18, with an evening art show hosted by the Arts and Preservation in the Osage in the Drummond Building located at the corner of Main St. and Kihekah Ave. in Pawhuska. This was followed by dinner of prime rib grilled by Ladd Drummond and served at nearby restaurant Grill 125 on Main St.
Then on June 19, the Cattlemen’s Hall of Fame Luncheon was held in the Ag Building at the Osage County Fairgrounds. The meal featured prime steak raised by the Spur Ranch of Vinita, Okla., and grilled by the chefs from the Downstream Casino of the Quapaw Nation. Trade show vendors had an opportunity present new agricultural products to the OCCA members, while Spur Ranch, Zoetis and the Quapaw Cattle Company presented their genetics and beef production during the luncheon program. During the luncheon, the Osage County 4-H Born and Raised Award winners were announced. “The top three steers raised in Osage County receive a monetary award,” OCCA President David Chambers said. Chambers explained that the OCCA gives three awards based the evaluation of steers shown at the Osage County Junior Livestock Show held in March: Trent Barnett, Grand Champion, Kaylee Hambright, Reserve Champion, and Cooper Kyler, third place winner. Two Hall of Fame Award recipients were also named. This year, Lee West and the late Fred Craddock, Sr. were the ranchers honored. The OCCA Annual Meeting was held after lunch, featuring short updates by Oklahoma Cattlemen’s Executive Director, Michael Kelsey, and the Oklahoma Beef Council Executive Director, Heather Buckmaster. 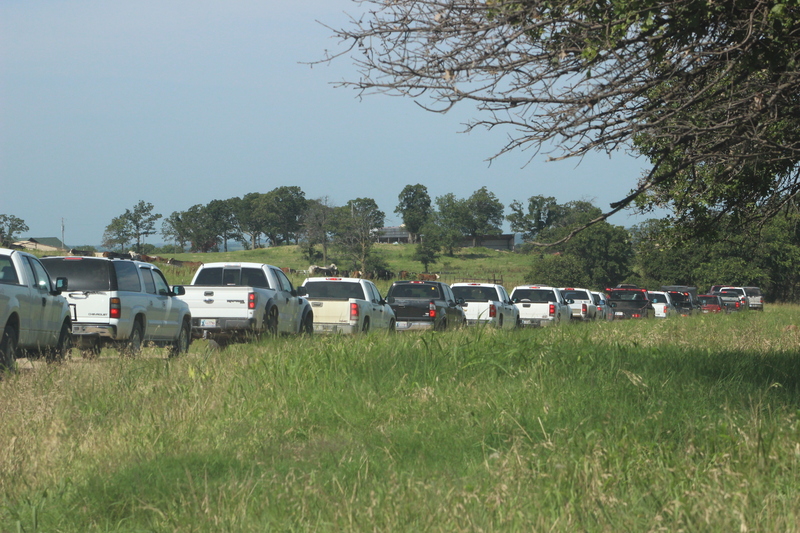 Trucks lined up for the OCCA Ranch Tour approach 3A Beefmaster’s, which was the first ranch tour stop. 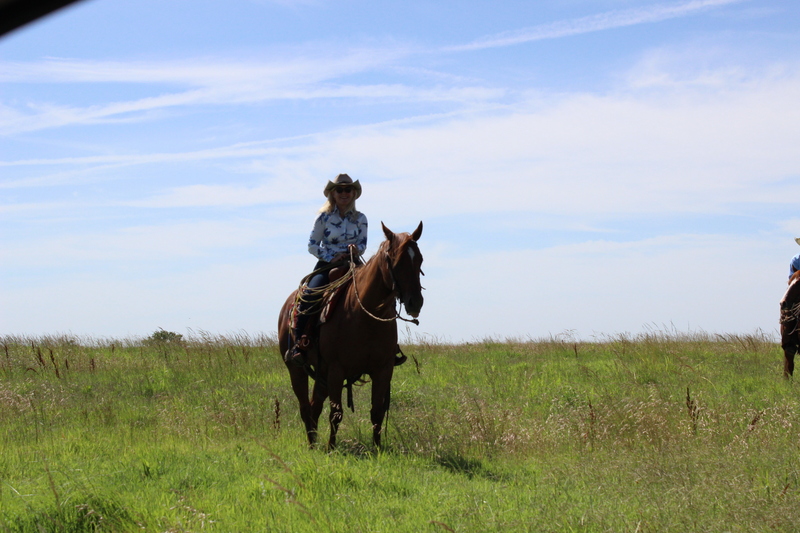 On June 20, after a breakfast catered by Hometown Foods and provided by the veterinary pharmaceutical company, Boehringer Ingelheim, over 150 attended the Cattlemen’s Ranch Tour, which featured four cattle operations east of Pawhuska. 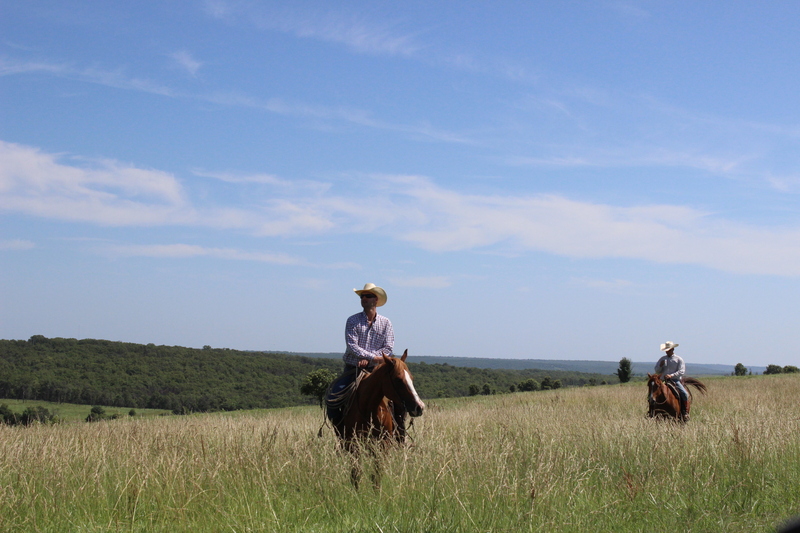 The first ranch on the tour was 3A Beefmasters, owned by Doyle and Frances Altaffer, and Bill Bruce. The ranch has a cow calf operation and produce bulls for sale. The first ranch stop: 3A Beefmaster’s. 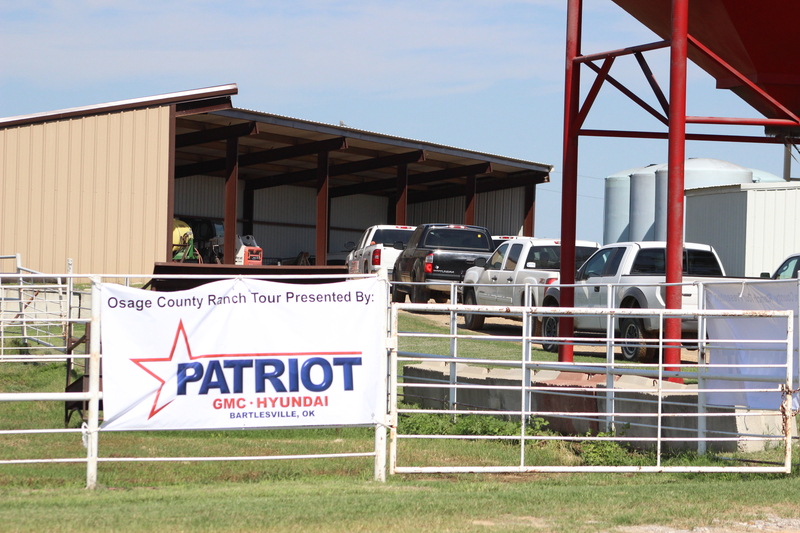 Gracie Stierwalt of Stierwalt Ranch held up cattle for the OCCA Tour. 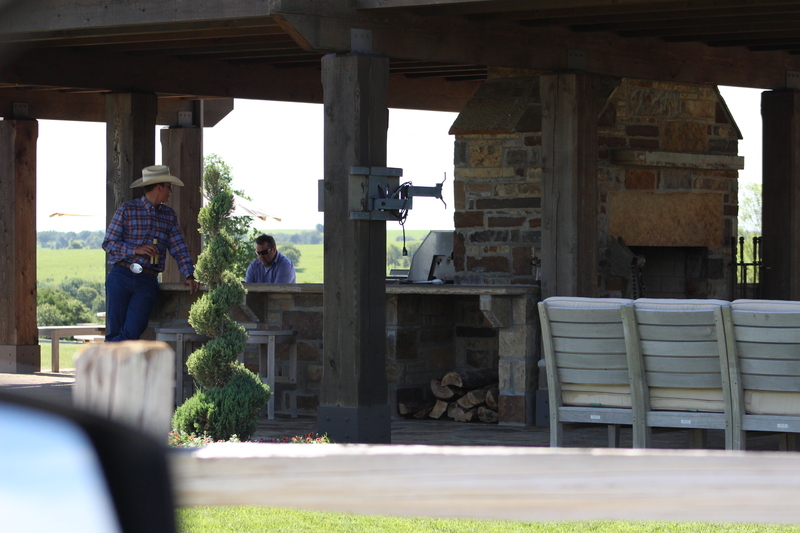 The second stop was the Stierwalt operation on the Liberty Ranch. “Shane Stierwalt leases grass from the Liberty Ranch and that’s where they run their cow herd,” Chambers said. 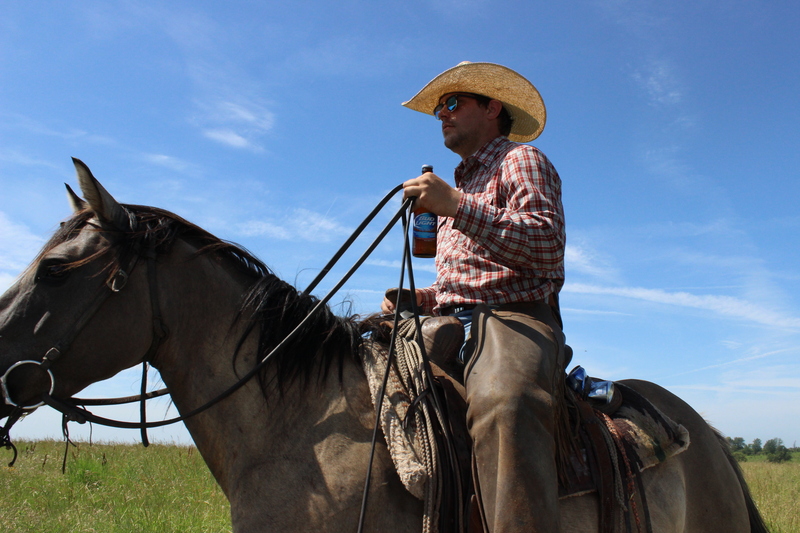 The Stierwalt Ranch, owned by Shane Stierwalt, has its ranch headquarters in Shidler. 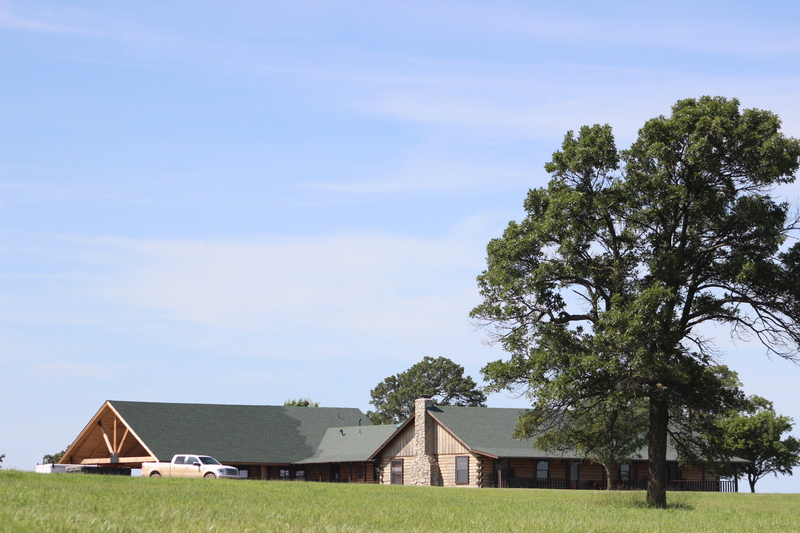 The third stop was the Liberty Ranch headquarters, owned by Jerry Mosley, where the main working facilities are located. 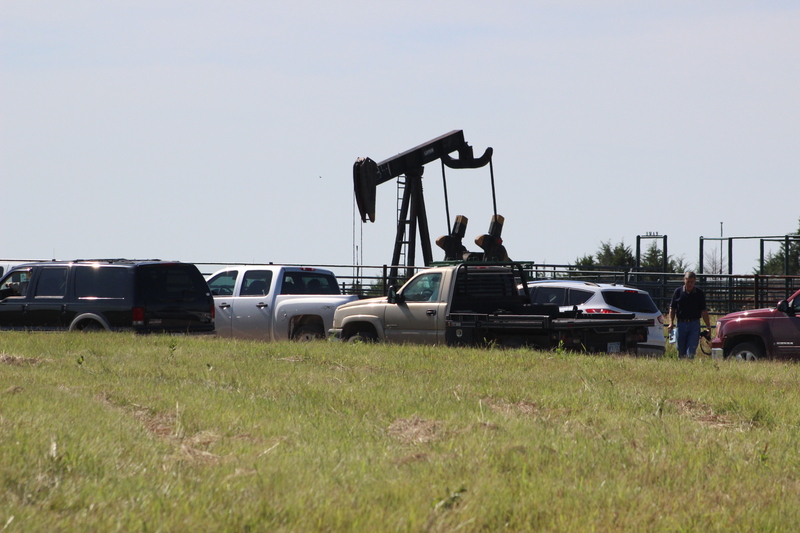 Also located at the headquarters are “backgrounding pens where they feed out cattle to prepare them for sale, or prepare cattle for breeding,” Chambers said. Jerry and Marlene Mosley’s ranch house is located adjacent to the ranch headquarters. Mosley Ranch at Liberty Ranch Headquarters. Cow and calf on Liberty Ranch near headquarters. Debbie Zinke, owner of Z7 Bar Ranch holds up cattle for the tour. 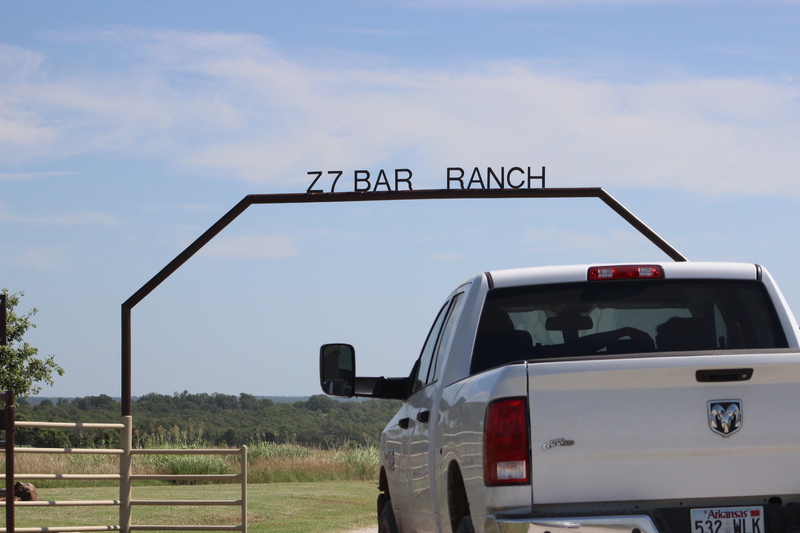 The fourth stop was the Z7 Bar Ranch owned by Debbie Zinke. 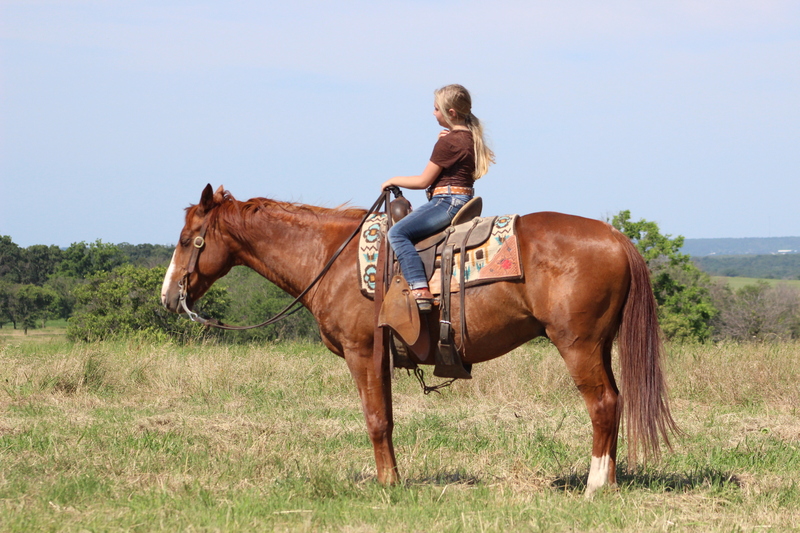 “She bought the ranch a few years ago and she has a cow calf operation. Lee Sellers manages her ranch,” Chambers said. Outdoor kitchen at Z7 Bar Ranch. For the tour, cowboys “hold up” herds of cattle, which is cowboy lingo for gathering the cattle and keeping them in a group, Chambers explained. 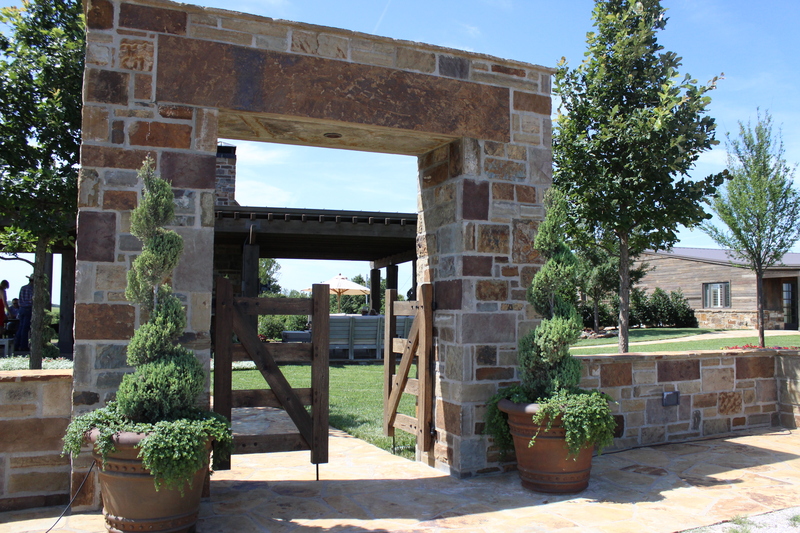 Entryway to outdoor kitchen at Z7 Bar Ranch. After the tour, a barbecue lunch, catered by Bad Brad’s Bar-B-Que, was served at the Ag Building. The Osage CattleWomen’s Association decorated the tables, provided the flower arrangements, and dessert. At 10 a.m. on June 20, the 62nd Annual Ben Johnson Memorial Steer Roping began. This year there were 87 ropers, said Chambers, who also serves as Chairman of the steer roping. This is the very first year that the event has been sanctioned by the Professional Rodeo Cowboy Association (PRCA), bringing the largest number of ropers and largest audience that the event has seen in years, Chambers said. Each year, the OCCA adds $10,000 to the prize money, making the total payoff of the event over $63,000. The weekend concluded with the Cattleman’s Dance produced by Levelland Productions. The very popular red dirt band, The Great Divide played for a crowd of more than 200 people at the Clarence Brantley indoor arena at the Osage County Fairgrounds.